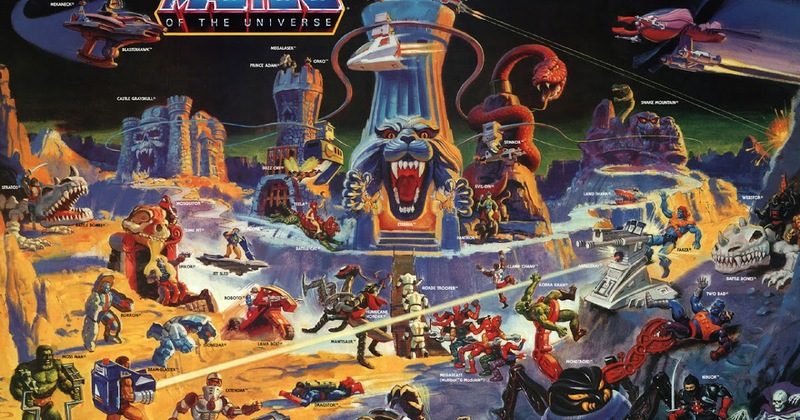 Masters of the Universe is a film set to come out in 2019 about He-Man. He-Man was a popular cartoon and toyline in the 1980s. Variety has just reported that David S. Goyer has passed on directing Masters of the Universe. Goyer had worked on the screen play but says that his commitment to a series called the Foundation a scifi series based off of the works of Irving Asimov. Goyer will remain on the project as an executive producer but the project with a Dec 18, 2019 release date will still need to find a new director. David Goyer who is known for his work on the Blade Trilogy as well as Suicide Squad is now at the helm of Masters of the Universe. Masters of the Universe is the reboot for the He-Man franchise. The film is being produced SONY and seeks to bring the old 80s cartoon (and film) to a new generation. Some concept art has just started perculate out. In one scene you can see interesting backgrounds which may very well be concept art of Eternia. In another he is looking at a battle suit. I have heard speculation this is a battle suit of Teela as well as this is the look of the character Man-E-Face. Hard to judge much based off this limited sample but I will keep updating this post with more as it arrives. Not sure if many remember this poster. You would need to be an 80s kid to know it. I still think this is one of the coolest Toy posters ever made. It show off all of the cool characters. Its funny I think I was around 5 when I got this poster and I still have an idea of which of these figures I had, and which my friends had. I may need to something fun with it especially as the new film kicks into gear.